So far admin has created 165 blog entries. 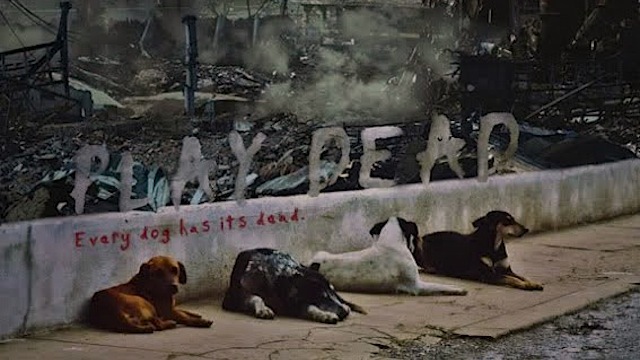 Play Dead is an 18 minute short film by Kickstarter about...well, dogs vs. zombies. Based on the title of the film, you may not take it too seriously...but it's worth a watch. It may sound strange, but this short film does such a good job of portraying such a wide array of emotions (with plenty of gore) in a matter of minutes. Watch Play Dead here: Play Dead (2012) FULL MOVIE from Andres and Diego Meza-Valdes on Vimeo. From new characters Michonne and The Governor to a preview of The Walking Dead Season 3 zombies! Ok, let me add a disclaimer to the title. These are the best zombie tattoos I've seen so far...and to be honest, there are so many awesome zombie tats out there that deserve some recognition, it was a chore narrowing them down to under 60. Pictured: GSG-5 .22 lr Assault Rifle A .22 lr is a great choice for the zombie apocalypse (due to the abudancy of the round and accuracy of the weapons), escpecially if it's the GSG-5. Designed from the ground up to be similar to the MP5 (same controls and similar appearance), the GSG-5 .22lr is an affordable alternative to the larger round weapons that we all love, with marksman accuracy. Pictured: Adimantium Claws (and mutant with regeneration abilities) I don't think anyone can argue that having Wolverine's gifts for regeneration combined with an indestructable adimantium skeleton with razor sharp claws would fair poorly in the zombie apocalypse. Classic Disney Princess characters turned zombies in these beautifully grotesque illustrations by Witit Karpkraikaew. Star Wars zombified! Check out this illustration of Yoda and Luke going head to head, zombie-style.